As usual we had some interesting and lively debate surrounding stress in the workplace and when it becomes considered a disability. Many thanks to James Humphrey from Trethowans Solicitors and Karen Bristow from Phillips Solicitors for providing us with the legal framework, and some excellent handouts. I have summarised the information below, and included some other information of interest. Legal liability is triggered by the Health and Safety at Work Act 1974 and the Health and Safety at work Regulations 1999 and Common Law. Many employers are scared by legal liability, but it is very difficult to establish, and courts don’t like it. It can really only be proven if an employee goes off work with a nervous breakdown and then returns to work but there is no phased return or adjustments made. The Department of Work and Pensions estimates that each stress illness results in an average of 31 days absence. There tends to be a pattern of an initial sick note for 10 days and then a second one for a fortnight. If the employee does not return after this period then it is likely that they will be absent for 3 – 6 months. HSE (Health and Safety Executive)estimate that work-related stress costs £3.7 billion a year. 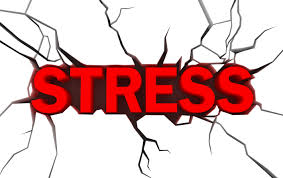 DEFINITION OF STRESS: The adverse reaction people have to excessive pressures or other types of demand on them. Pressure is a good thing to provide motivation. It is when pressure reaches the point of no return that it becomes stress. Employers have a legal duty to assess the risk of work-related stress and to take measures to control these risks. DEMANDS (OVERWORK) – Employees cannot cope with the amount or type of work they are asked to do. CONTROL – Employees may perform poorly if they have no say over how and when they do their work. HR can be in a difficult position here as they sit between the business and its employees and are trying to find a compromise to suit both. SUPPORT (MANAGERS ENGAGING WITH SUBORDINATES) – Sickness levels may rise if employees feel they cannot talk to their managers about problems. RELATIONSHIPS – A failure to build a relationship based on good behaviour and trust can lead to problems related to discipline, grievance and bullying. ROLE – Employees will become anxious if they don’t know what is expected of them. CHANGE – needs to be managed effectively or it can lead to huge uncertainty and insecurity. Ensure everyone at every level is equipped to do their job. Look at the way the job is designed and if more flexible working can be accommodated. Provide thorough induction and on-going training, ensuring an accurate job description exists and that individuals can see a link between their targets and the goals of the company/department. Train managers to recognise stress factors and what can be done to avoid them e.g.. Another pair of hands or a review of the working environment. Know your workforce – listen and learn from them. Are people talking about stress? If so then listen to what they are saying. Make sure you have policies in place for handling grievances, poor performance, attendance issues, bullying and harassment. Be ready to offer constructive help. Offer a phased returned to work if someone has been off with stress and monitor their progress. Don’t tolerate people being picked on. This may not be to the extent of bullying and harassment, it may just be one person always Promote people beyond their capabilities without the necessary training and support. Launch into disciplinary without first having a chat to explore the circumstances. There is lots of scope for a simple stress issue to blow up. If the employer does not engage with them and explore the reasons, then the employee is likely to be off for longer and we could be looking at is as a disability issue. The worst thing that an employer can do is leave the employee alone in this situation. An offer should be made to meet, whether in the office or on neutral ground to explore the reasons for the stress. Stress is not an illness and so is not a disability. However if it is not taken seriously and its causes are not considered then it can develop into an illness or exacerbate an existing condition. The Equality Act 2010 defines a disabled person as a person who has a physical or mental impairment which has a substantial and long-term effect on their ability to carry out normal day to day activities. For a person to be protected by disability discrimination, the employer must know or could reasonably be expected to know that a person has a disability and is likely to be placed at a substantial disadvantage by one of the employer’s practices of a physical feature of its premises.